Windowed cam chain adjuster cover to fit the SR500, SR400, XT500 TT500. This cam chain adjuster cover is precision CNC machined from aluminum alloy. It features a window allowing observation of the cam chain adjustment without removal. 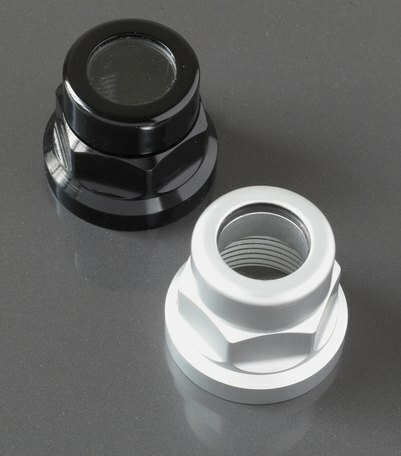 The acrylic window is secured by a threaded cap and rubber o-ring.